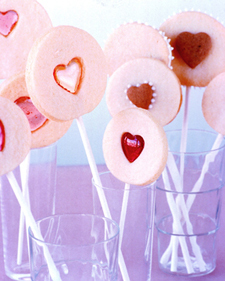 ...today we have Sweetheart Pops care of Martha Stewart. They look super easy and so effective. Add a bit of cellophane wrap and a bit of ribbon and an instant gift for your loved one!